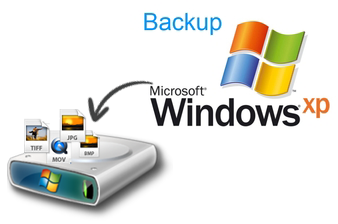 Quick Windows backup recovery tool is kept advanced by the developer of the BKF repair application. This BKF Recovery application is said to be having an advanced interface to recover damaged Windows backup files with accuracy. This advanced bkf repair tool is one of the most efficient application and helps in quick procedure of Windows BKF repair also. In many comprehensive tests this tool is ranked on one of the topmost positions to serve users in executing a quick Windows backup recovery. Users can work with this supportive tool by just installing it, as it can work flawlessly with any version of the Windows OS whether it is Win XP or win 7 (32-bit or 64-bit) or 8.1, 10 and Vista. This highly capable tool take only 9 MB of your hard disk space for installation and can with sheer smo. With this proficient application user can preserve the integrity of data as well recovery and repair MS Backup file in less time than other applicants. This effective application serves the user with self explanatory steps to install the application, so that non technical user can work with this reliable quick Windows backup recovery application with ease equal to the ease experienced by a technical user. This authentic tool can effectively repair corrupted file, and recover Microsoft backup files by maintaining its data integrity. This application works in such a manner, resultively it will preserve the importance each meta-content that is repaired. The application has the quality of performing quick Windows backup recovery, quicker than the other applications. With this steady tool user can repair particular file or folder and one can even select one file or many files from a folder to be repaired and recover from the selected backup file. With this dependable application user can preview the repaired file prior to saving it. This option is not provided by all the applications available in the online software market, and few which gives you this option does not fulfill its promise. But with our application user can not only preview the files after performing quick Windows backup recovery; can also repair files by following few simple steps.